There a special places you don’t want to miss knowing if you are a fan of good food and you like traveling Italy. Today we present you 5 locations to give you an idea. 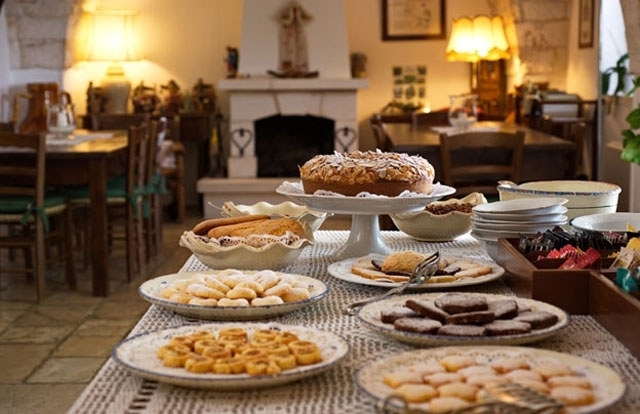 Being surrounded by impressive woods, they stand out for their hospitality for about two decades now: Giovanni and Cristina welcome travelers with breakfast, homemade cakes, pies and jams made from organic fruit of their own orchard. Furthermore, their subtly sweet licors, Parma sausages, zucchini filled pasta, amaretti cookies among others. The hosts are always ready to suggest hidden, unknown places to have dinner. During mushroom season, Giovanni offers field trips to visitors from around the world. Autumn in Emilia-Romagna means wine, truffles, mushroomes, and chestnuts. The Agroturismo Corte d’Aibo is an organic farm and vineyard, located 25 kilometers west of Bologna, in the hills of the Apennines. The vineyard produces 6 red wines and 6 white wines, made from grapes of its own backyard. The recommendation is to take a bottle of Pignoletto with lunch and a tour of the winery. The menu includes specialties like tagliatelle with ragout and risotto with truffles and Parmigiano-Reggiano such as local dishes. Before lunch and dinner, Armando Balestrazzi gives a tour around Masseria Il Frantoio, close to Ostuni. They own 4.000 olive trees – many of them planted by the ancient Romans -, a citrus orchard from the 17th century, and a Moorish style garden. Armando and his wife Rosalba bought this 500-year-old property 15 years ago and turned it into a restaurant and a hotel with 19 rooms. Rosalba takes care of the cooking, and her 8 courses lunch paired ip with wines from Puglia and different olive oils is a real challenge. One of her typical meals could consist of: pizzelle (discs of fried pasta similar to Indian puris) with fresh tomato sauce, zucchini and shrimp fritters, green beans, baked goat cheese with saffron and pear jam, homemade pasta laganelle with zucchini and carrots, roast lamb with potatoes, garden salad with fresh almonds and rose petals, and lemon pie. After living in Belgium for decades, the Lombardi family returned to Italy to build up organic Agroturism. Le Campestre is a farm with rooms and a restaurant, a property located in the region of Campania Alto Casertano, that is famous for its olive oil, the buffalo, goat chees and its rustic breads. Meals are served on a terrace overlooking the nearby valley and mountainsides. The guests stay in simple rooms and participate in the daily tasks of the farm, such as the olive harvest. They also offer vooking classes. Gregorio Rotolo is famous for his cheese: round blocks of pecorino, flat ashlers of aromatic stracchino and tender ricotta, each of them with a distinctive green and silver label. Gregorio and his family hava a biodynamic farm, more that 1.500 sheep and agroturism. The location is excellent, on the edge of the Abruzzo National Park, it is run by the family itself and has 17 cozy and comfortable rooms, and the food is wonderful. 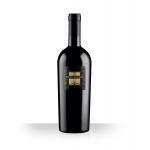 Quota 29 Primitivo 2012: a red wine with Salento DO with the best bunches of 2012 primitivo and 14º of volume of alcohol. Cantine San Marzano Primitivo di Manduria Sessantanni I Giganti 2012: red wine from Puglia DO with primitivo of 2012 and 14.5º of alcohol.